Governments around the world are trying to come to terms with new technologies, new social movements and a changing global economy. As a result, educational policy finds itself at the centre of a major political struggle between those who see it only for its instrumental outcomes and those who see its potential for human emancipation. This book is a successor to the best-selling Understanding Schooling (1988). 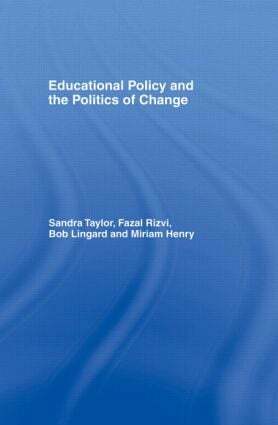 It provides a readable account of how educational policies are developed by the state in response to broader social, cultural, economic and political changes which are taking place. It examines the way in which schools live and work with these changes, and the policies which result from them. The book examines policy making at each level, from perspectives both inside and outside the state bureaucracy. It has a particular focus on social justice. Both undergraduate and postgraduate students will find that this book enables them to understand the reasoning behind the changes they are expected to implement. It will help to prepare them to confront an uncertain educational world, whilst still retaining their enthusiasm for education.